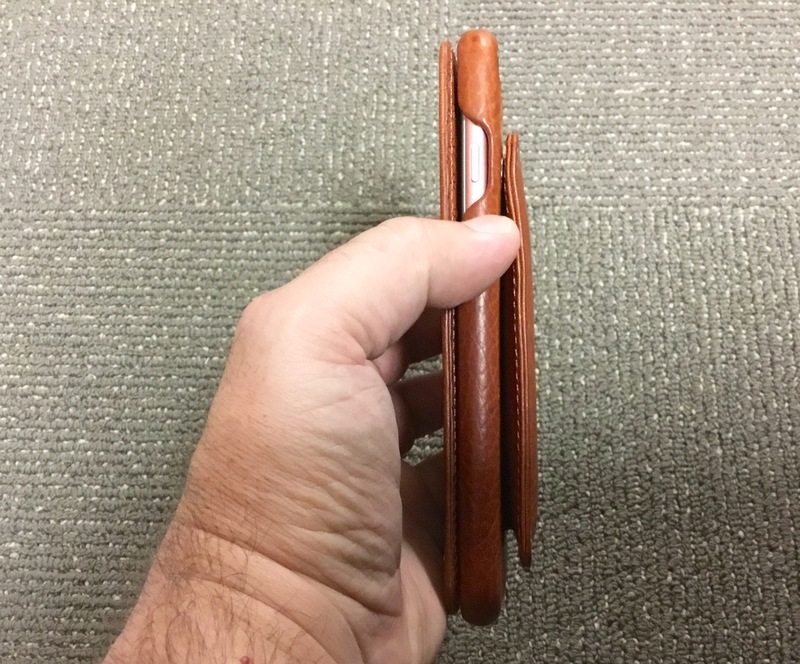 After an outpatient surgical procedure had me stuck wearing draw-string athletic pants for three weeks last year, I was forced to slim down my trusty old wallet. It just wasn’t practical carrying that heavy thing around in pants with a draw-string and no belt, so I ended up putting my license, insurance card, and a couple of credit cards in the removable insert of my wallet, and just going with that. Once I healed up and got back to wearing my adult wardrobe to work, I actually stuck with the slim wallet. I really liked how thin and light it was, and I also found that I just didn’t need 90% of what was in my old wallet on a daily basis. 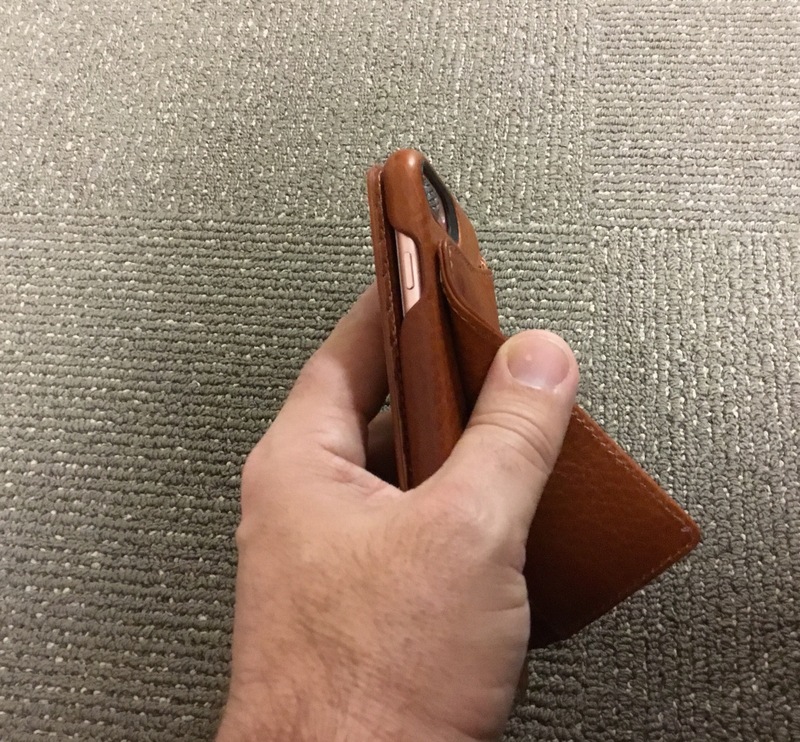 Going slim and light also opened the door to alternatives, like a wallet case for my phone. However, most of bi-fold the wallet cases I had seen to this point were too thick and as such, of no interest to me. That was, until I got a look at Vaja’s Niko Wallet-Leather Case. Even though it is a side-flip, which I already mentioned isn’t my favorite style, the only case of this type that I had previously enjoyed using came from Vaja. The first Vaja case that I tried was the Nuova Pelle (which translates to “new skin”) for a 5th Gen iPod Touch I had in 2013. I had a Touch at the time to run the earlier betas of iOS 7 without subjecting my iPhone to its inevitable instability. I didn’t have a case for it, so I asked for a review case to fit it, rather than my phone at the time. Its sleek and super thin design was a perfect fit with the thin and light iPod Touch. While I had found other side-flip cases cumbersome and more difficult to use, the Nuova Pele was thin, light, and easy to open and close without fumbling around. The combination of these qualities with the materials and construction that Vaja has always been known for made the original Nuova Pelle a great case. Based on my experience with the original Nuova Pele and a couple of other Vaja cases, I had a good idea of what to expect going in, and the Niko certainly did not disappoint. If you aren’t already familiar with the brand, they are known for producing handmade leather cases and covers of the highest quality and craftsmanship. They offer a wide variety of sizes, colors, and styles, and several of their models have custom color and design options. If you have never heard of Vaja, I would encourage you to take a look around their website and see what all they have to offer. 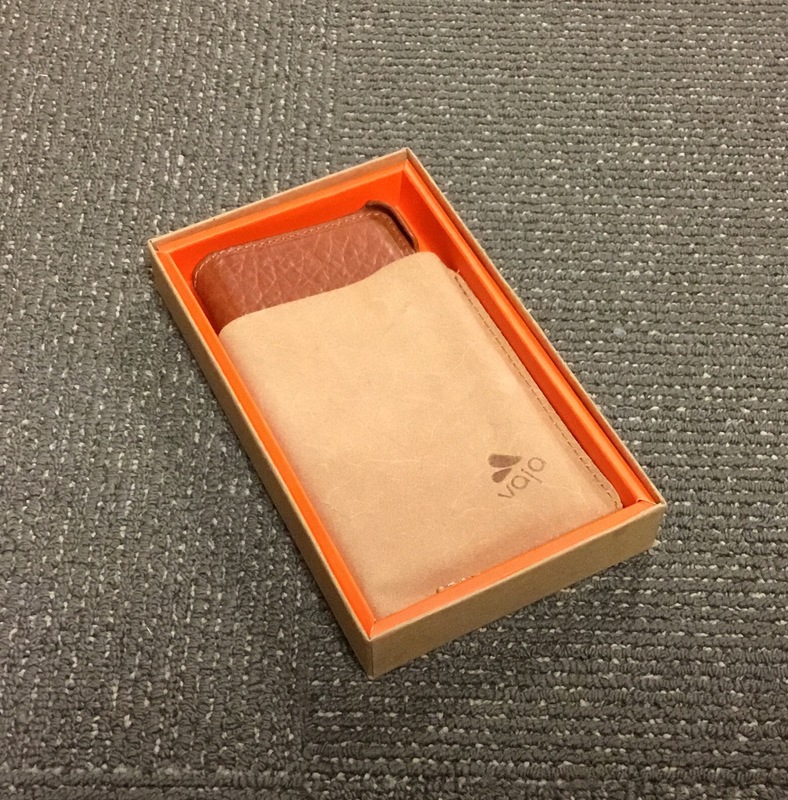 As for the Niko Wallet-Leather Case, lets take a closer look at what makes it an appealing alternative to the traditional smartphone wallet case. One of the reasons that I’ve never been terribly fond of wallet cases was because of their inherent thickness. Typically, these cases are set up as foldovers where all of your items are on the inside of the case along with your phone.When you put all of your credit and ID cards, cash, and other essential items in and close most wallet cases, you tend to add a lot of thickness that is spread across its entire length, making it bulkier to hold all over. Note that Vaja does have two other cases with this type of wallet design, the Wallet LP and Wallet Agenda, in their lineup. 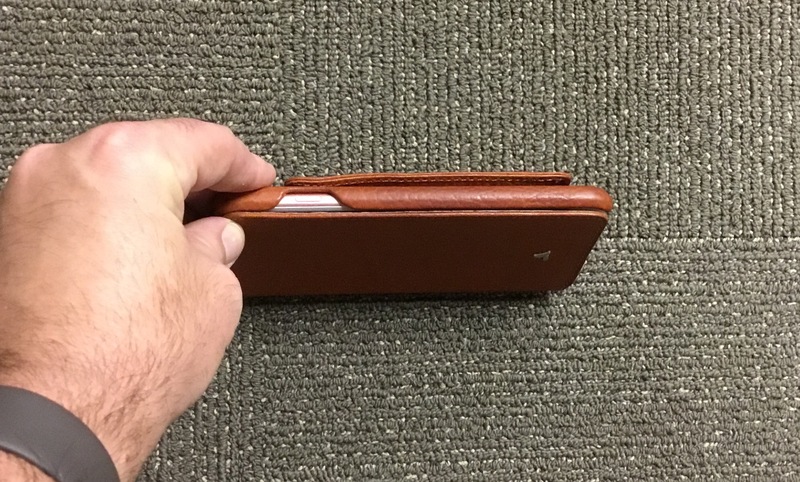 These types of traditional wallet cases are on the market because there are obviously users out there who buy them and love using them. They likely work quite well for someone who keeps their wallet in a suit coat or sport coat jacket, but they are bit too much for me in a pants pocket. I almost always carry my iPhone 7 Plus in a pants pocket, so a case with this design would likely be far too thick for my tastes. 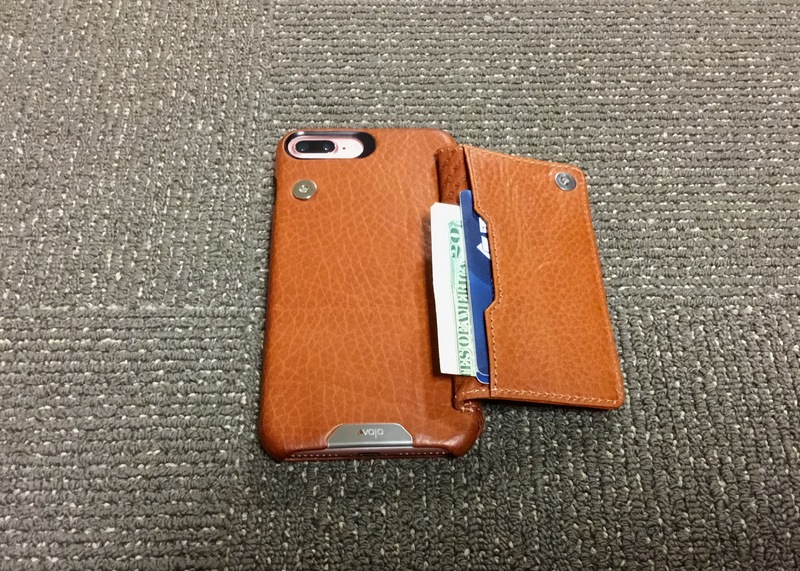 However, Vaja’s Niko case is a different take on a wallet case design, moving the compartment for your cards and cash to the back of the case, leaving the inside able to close flush with your iPhone. I found this design much more appealing because it moves any additional bulk and thickness to one spot on the back of the case. This area of the case fits right in the palm of the hand, so the added thickness doesn’t negatively affect the way that I hold it. The small compartment opens up to reveal one simple pocket, sized to fit a few credit or ID cards and a few bills. The pocket is held shut by a magnet located in one corner. A small button on the male end of the magnet fits securely inside the small indention on the opposite side. You can feel it click into place when closed properly, holding the pocket securely and keeping your valuables safe. I was a little unsure of the single closure point when I first looked at the case, but I have had no incidents of it opening unexpectedly. With a case that is already more bulky than average by design, I like the fact that a single magnet cuts keeps the weight down just a little bit. Now, I can’t say that the Niko isn’t thick. 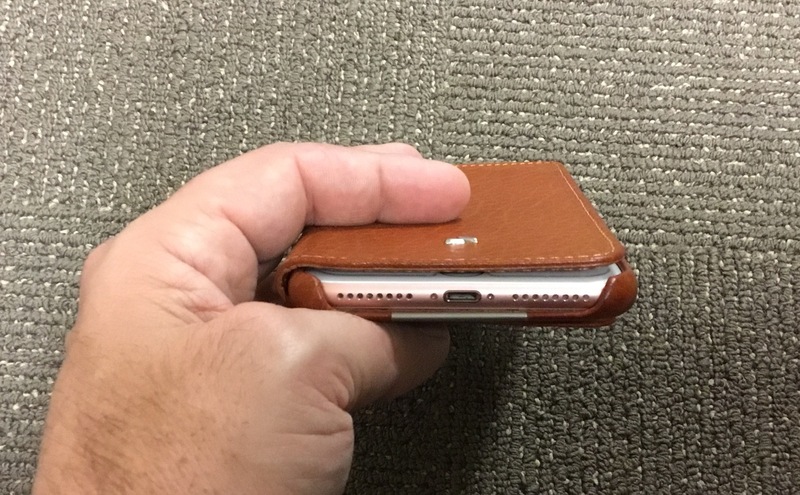 With two credit cards, my license, my insurance card, and a couple of bills in the pocket, it does noticeably protrude from the back of the iPhone. However, the overall bulkiness has as much to do with the size of the iPhone 7 Plus, rather than the Niko’s design. Still, the size isn’t a total deal breaker for me. 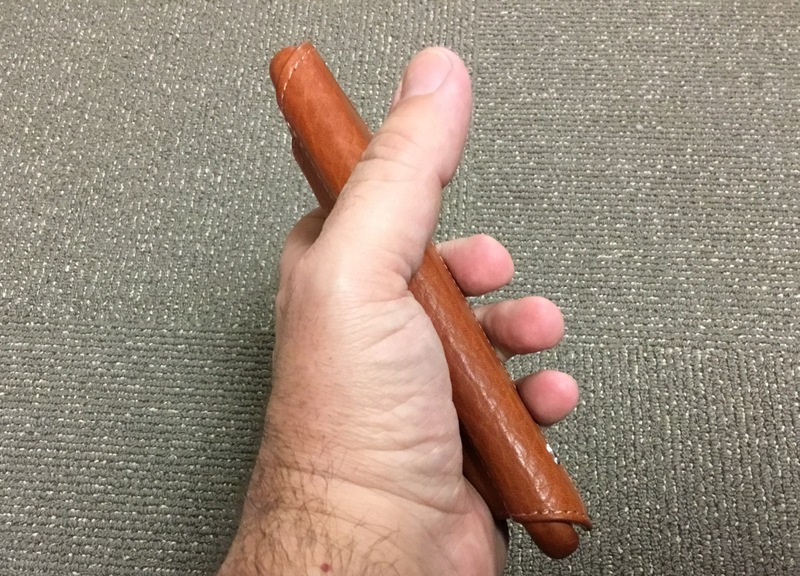 I carried the Niko in the front pocket of my jeans or slacks for over a week, and while I always knew it was there, it wasn’t uncomfortable. As for the rest of the case, it is basic but very functional. The iPhone snaps securely into a leather-wrapped polycarbonate base that gives basic protection from short drops, scratches and dings. The cut outs for the cameras, sleep button, and the speaker and Lightening adapter are consistent and all line up properly, which is evidence of good design and execution. When you see inconsistencies or issues with these, its a good sign that design isn’t at the forefront of a manufacturer’s priorities. I have never had that issue with a Vaja case. A signature feature with Vaja side-flip cases is the magnet closure that holds the cover closed over the screen. The closure is secure enough to hold steady if you hold the case upside down, but easy enough to open without undue effort. It’s just right. My only disappointment is with Apple, as this magnetic closure makes me wish the iPhone had the auto sleep/wake feature that the iPad has had since day one. Another design point to me that doesn’t go unnoticed is the packaging that Vaja cases come in. The box is eco-friendly cardboard, but of heavy enough construction to reliably store your case in when not in use. What really impresses me, though, is the added touch of shipping cases in a color coordinated sleeve made out of leather “seconds.” That’s just a level beyond what the typical case company is doing. When it comes to design, it’s the little things that count, so when I look at this sleeve and see the same quality stitching and embossing as on the case itself, that DEFINITELY counts. As an Apple user for several years, I know very well that they pay this same kind of attention to the details of device design, and also take great pride in their device packaging. Vaja is definitely a kindred-spirit company in that regard, and this is one of many reasons that I have always found their cases to be a great fit with Apple devices. While all of the Vaja cases I have tried, including the Niko, have been carefully and skillfully designed, it is in the areas of materials and construction where Vaja really shines. 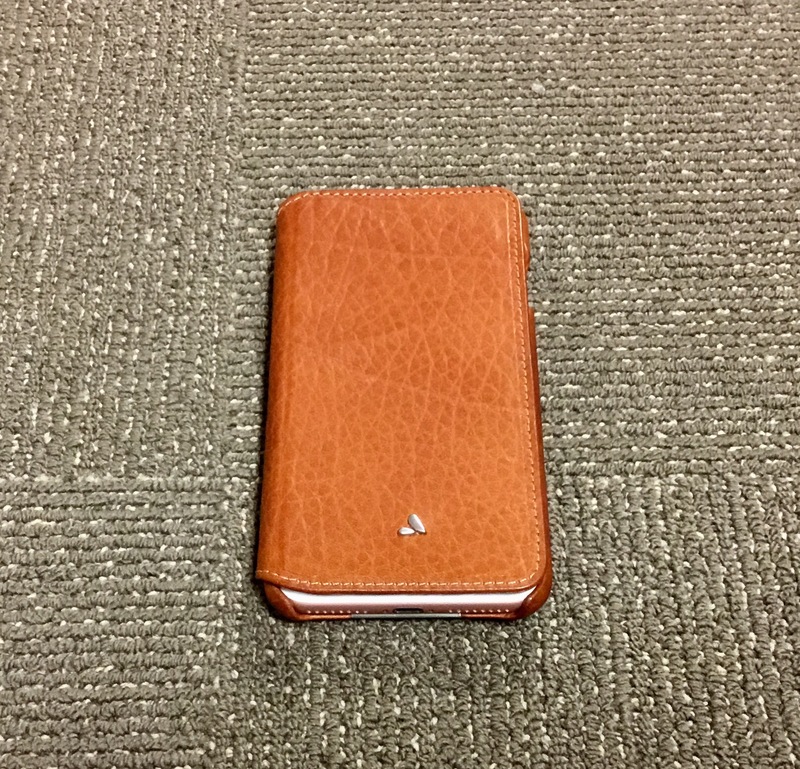 When you hold one of their cases, the quality of the leather is instantly aparant. The feel is soft and the texture complex. When you hold the case close to your nose, the smell is like a fine leather jacket or purse. 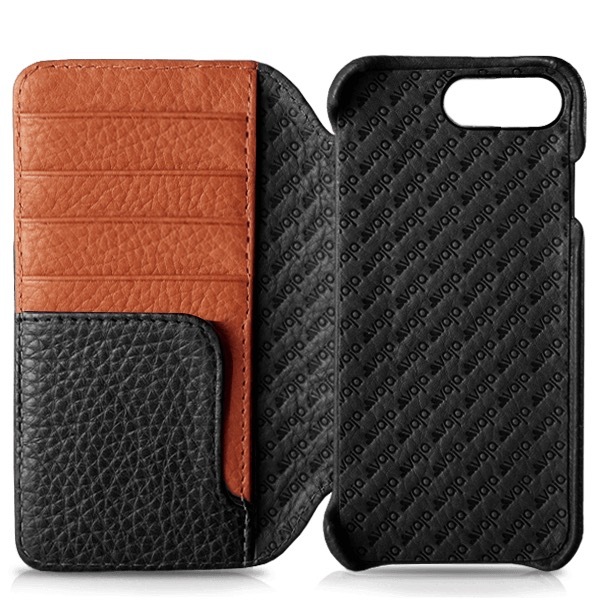 Their cases are an obvious cut above the typical leather case you see in retail stores, and a world away from the legions of knockoffs on eBay and Amazon. The Niko is available in either the softer Bridge in Saddle Tan, or the more rugged and grainy Floater Leather in Black. I recieved the Bridge Leather in Saddle Tan version for review, but it is exactly what I would have chosen myself. 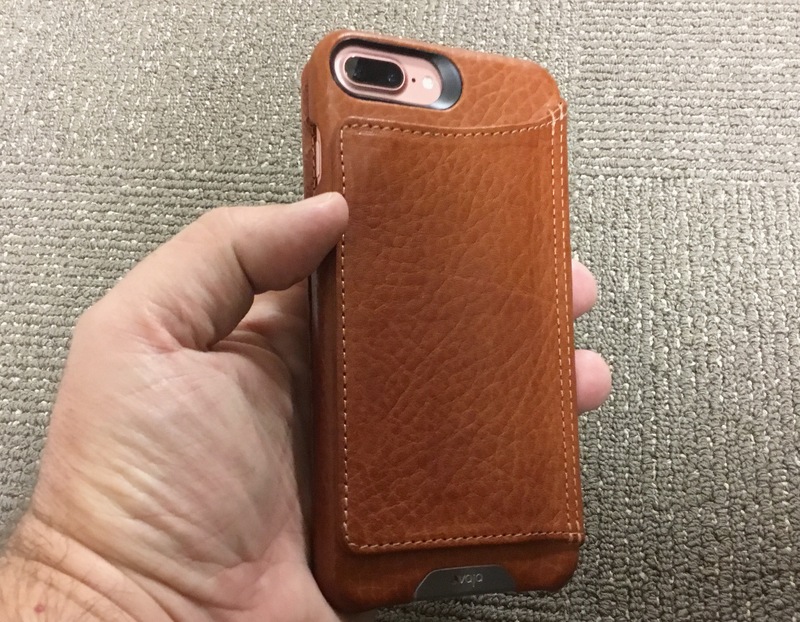 While colored leather cases are all fine and good, I do prefer the more natural shades of leather and find that the Saddle Tan is a great look. The close-up picture above shows the complexity and fine grain of the vegetable tanned Bridge Leather. In my opinion, the leather looks as good as it feels. As mentioned earlier, a look around the edges of the case reveals even stitching and smooth and even lines. The branding on the outside of the case is prominant, but still minimalist, with a small metal logo on the front cover, and an embossed metal tag with the Vaja name on the back. One of the subtle but noticeable design touches is the cut out logo on the rear name plate, which lets the color of the leather come through. This is a cool negative of the metal logo set against the leather on the front of the case. One of Vaja’s trademarks is the diagonal name print on the inside of all of their cases. It’s the only part of the branding of the case that is a little over the top, but it is still beautifully done. I’ve never found it too distracting. One thing that you may notice is a little bit of discoloration on the inside cover. 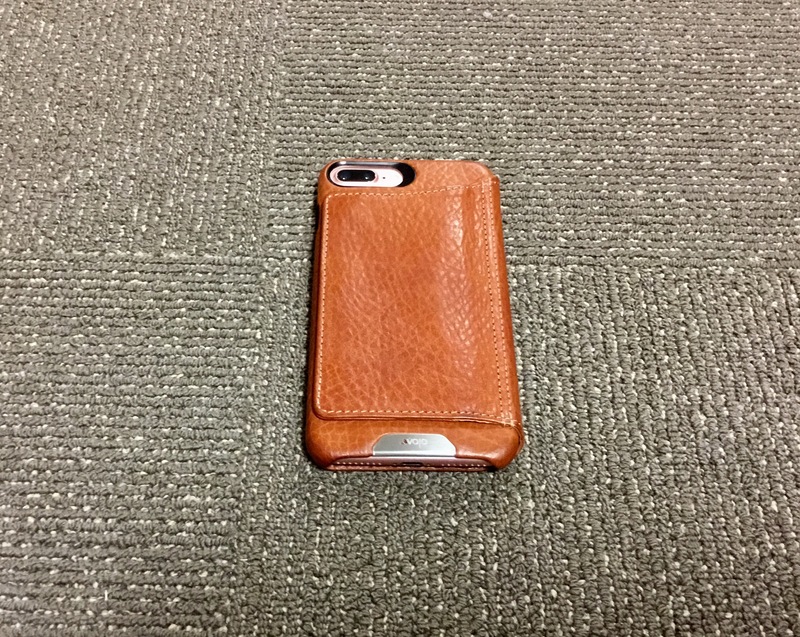 Anyone who has used lighter color leather cases or products will recognize this as normal. 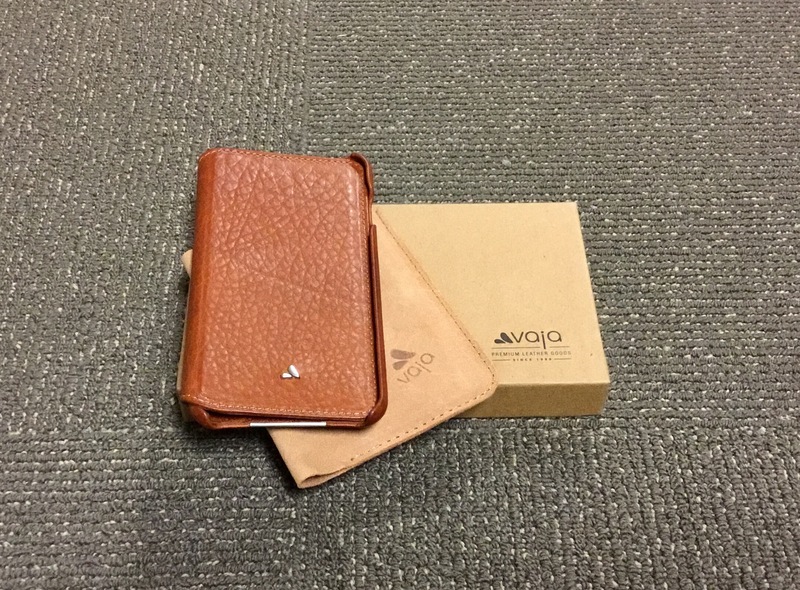 Vaja includes a small brochure in the box with each case that explains that any lighter color leather product will darken over time as it ages and reacts to the world around. The reason that the inside cover of the Niko is already showing these changes is because of the oils from my hand as I have held the case with the inside flipped around to the back. This is how I typically hold it when I am using my phone, so this surface has been in contact with my hand the most over the review period. I have noticed this same wear pattern with every Vaja flip case that I’ve used and reviewed in the past, so it is normal. I can tell you that, over time, the aging process does even out and become more consistent across that surface. Everything about Vaja’s Niko Wallet-Leather case exudes quality. It’s an excellent example of fine hand craftsmanship in a world of me-too, mass produced iOS accessories. I also really like the alternate take on the typical bi-fold wallet case design, as it cuts down the overall size and better suits my personal needs. My review unit is still on the large side, but that us largely due to the fact that I have an iPhone 7 Plus, which is a very large device to begin with. The Niko probably won’t be a “daily driver” iPhone case for me because of this, but I will definitely be using it a good bit going forward when I travel. It’s the perfect case to carry when you want to have fewer loose items on your person while on vacation or going through an airport. Vaja’s Niko Wallet-Leather case retails for $129.00, and there is a custom version available with more color and interior options for $149.00. This definitely puts it among more higher priced boutique accessories for the iPhone. However, when you look at the materials and craftsmanship and then compare the case to both more common leather products, and other similarly-priced luxury accessories, I don’t think that the price tag is unreasonable. Like a fine leather purse or jacket, this is a case that is designed to last, and should serve its owner well for many years. Rest assured that you are getting something extra for the money spent on the Niko. 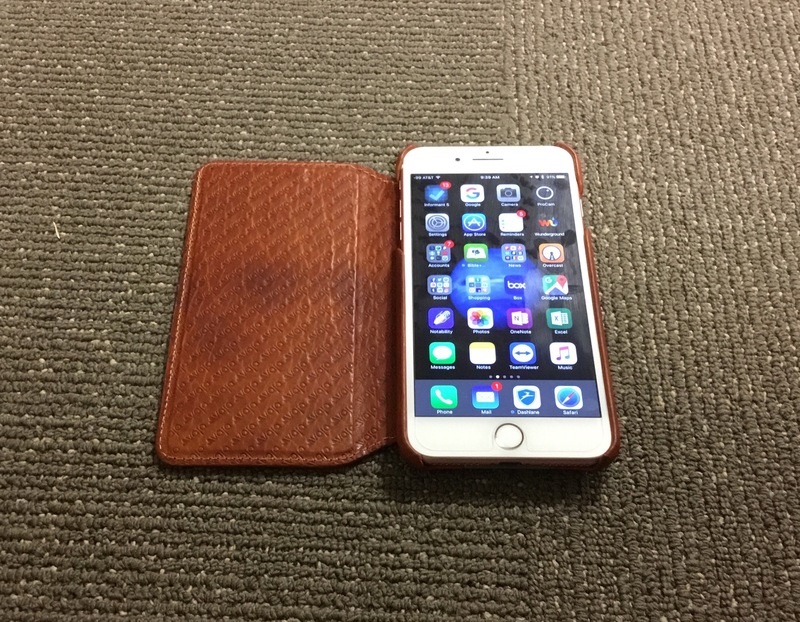 The Niko Wallet-Leather Case for the iPhone 7 Plus is available from Vaja in Floater Leather in Black or Bridge Leather in Saddle Tan for $129.00.